Print durable labels from your PC, Mac ,smartphone or tablet using wireless connectivity. Wi-Fi to print labels from several devices at once. 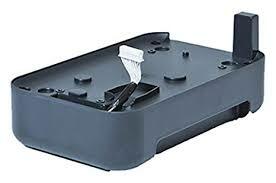 Advanced cutter with easy label peel function. Include images, barcodes and frames on your labels. Connect to data contained in spreadsheets to batch print many labels at once. HG tape is a high-grade media that provides a high resolution (up to 360 x 720 dpi) for printing fine text, graphics, barcodes and logos, or a faster throughput (up to 3.15 ips) for assembly line and other demanding applications. Standard adhesive for general purpose labeling on flat, smooth surfaces. Extra Strength adhesive for labeling on textured, rough, and uneven surfaces, and on a variety of plastics and other hard-to-stick material. Tamper-Evident adhesive that leaves behind a checkerboard pattern if the label is removed. It’s great for asset management, property tags, company tools, calibration labels, and other security applications. HG and TZ tapes can be used for both indoor and outdoor applications. The Extra Strength and Flexible ID adhesive tapes are UL recognized (UL-969) for indoor and outdoor labeling applications. Offering the highest print speed and print resolution in their class, the PT-P900W series professional label printers produce durable labels up to 36mm in width. 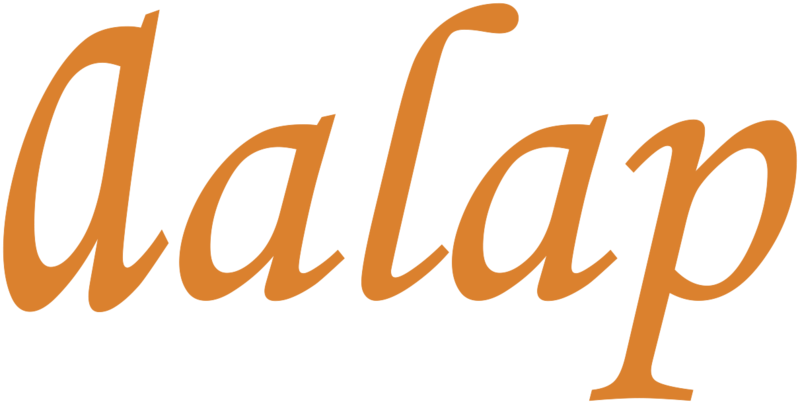 Print text, barcodes, images and logos onto laminated, durable labels that are suitable for indoor or outdoor use, and last for many years. 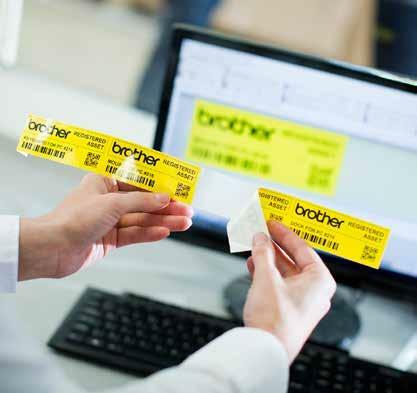 Choose from wireless network connectivity, and a range of optional accessories to create a customised label printing solution that suits your requirements. 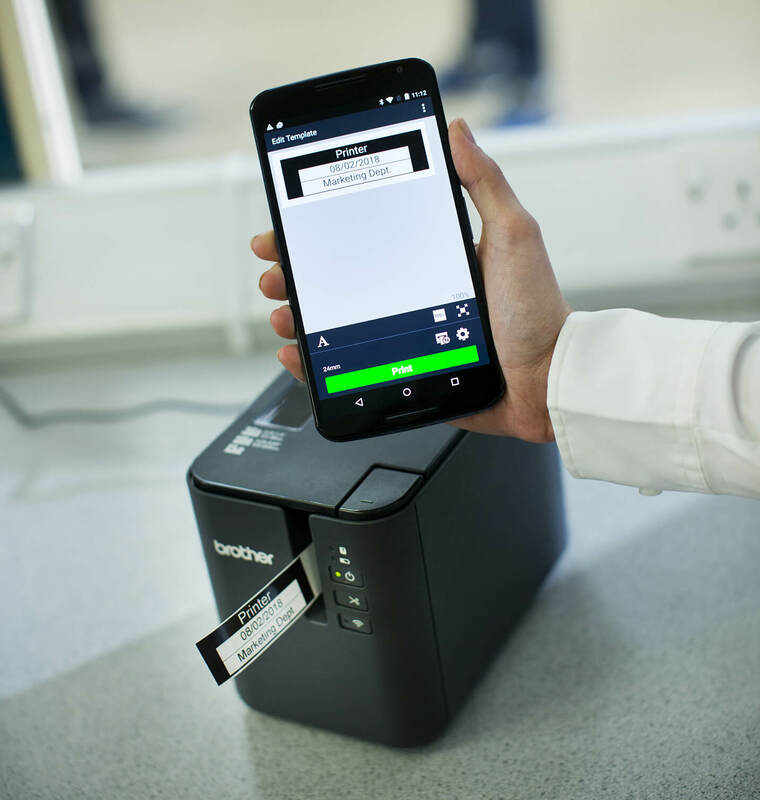 Instantly create and print simple labels from your smartphone or tablet without needing to start your PC. 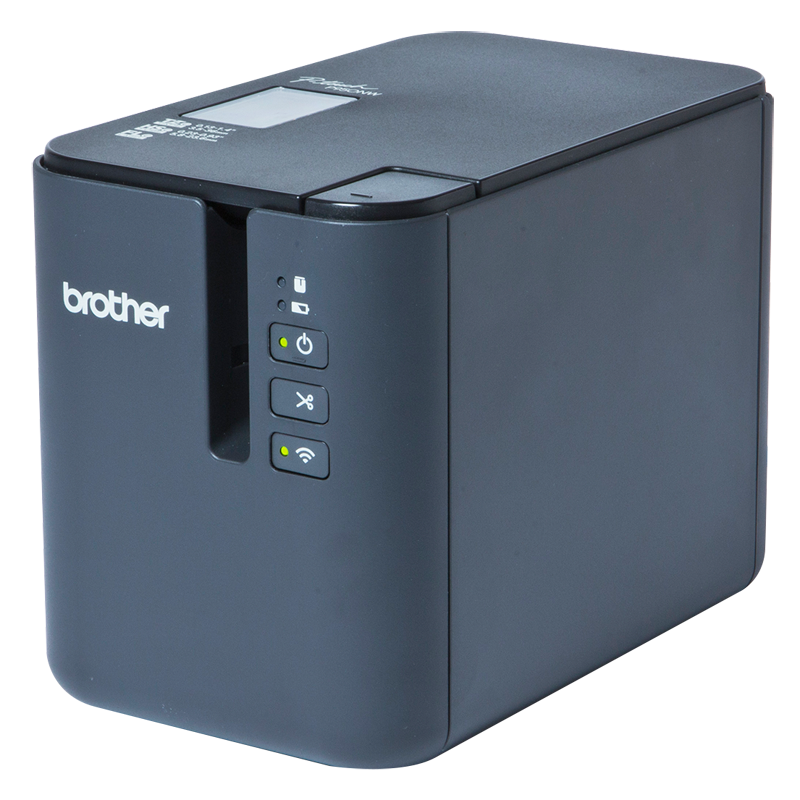 The Brother iPrint&Label app wirelessly connects to the printer to let you design and print labels from your iOS or Android device. 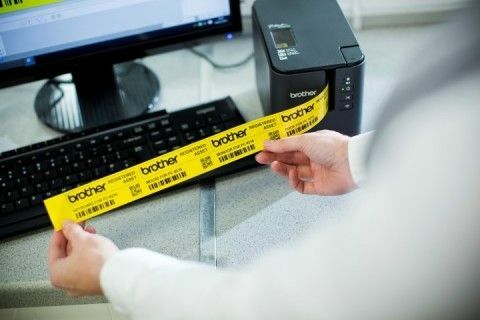 Or if you need to identify electrical and datacom cabling and equipment, use the Brother Cable Label Tool app to print labels for wrapping around cables or for sticking to faceplates, electrical distribution boards and other specialist equipment. Software and app developers can use various software development kits for Microsoft Windows, iOS and Android devices to enable label printing from within your own software and apps. 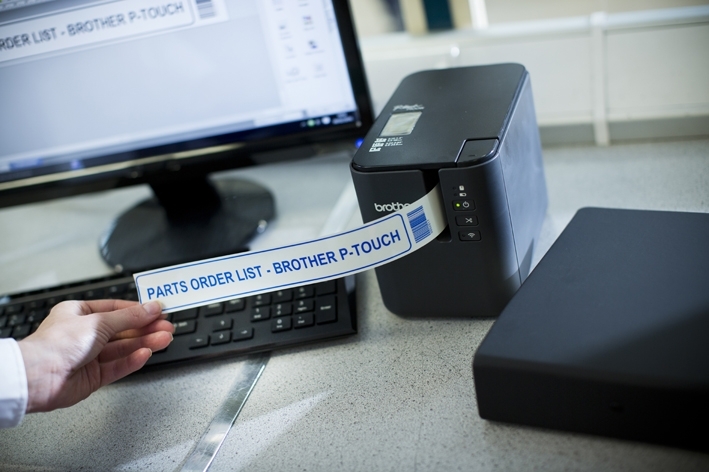 This makes these printers ideal to integrate into custom solutions, where durable labels are required. The advanced cutter can produce one long strip of labels that are easily peeled one-at-atime, and ensures your labels are kept in the correct order. Or each label can be fully cut if required. 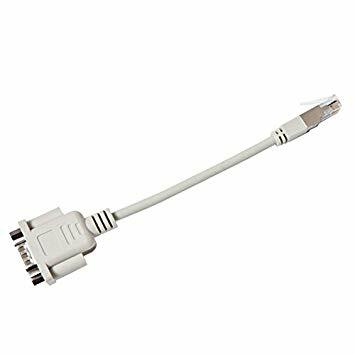 There are situations where AC power may not be available, such as on construction sites, or if the label printer needs to be used on a portable trolley. 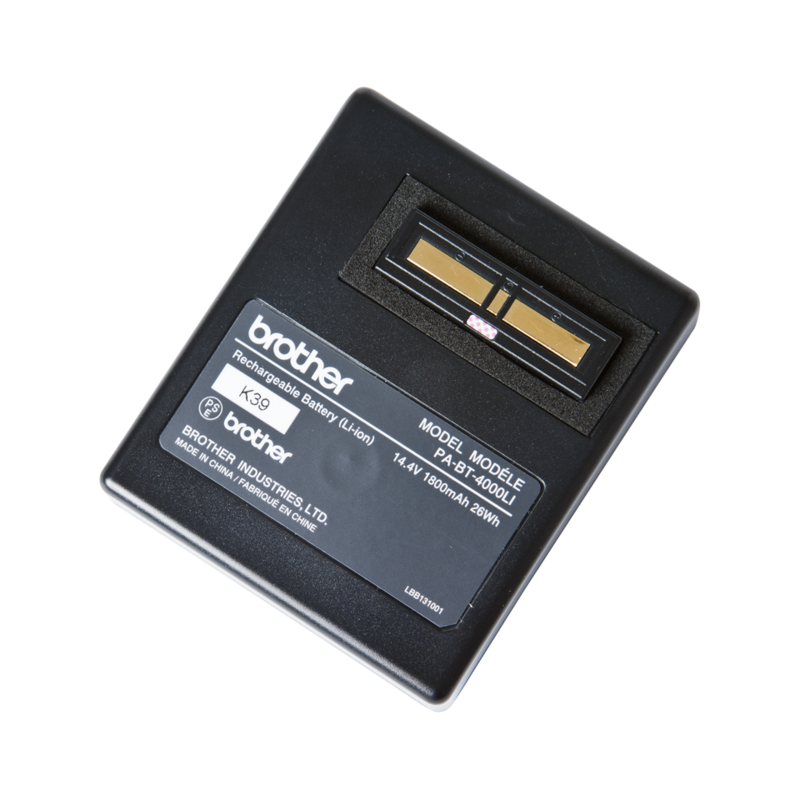 Attach the optional battery base and rechargeable lithiumion battery pack to allow label printing wherever and whenever required.